Salads can be quite a bore without the right dressings. After all, it is the dressing that adds flavour and texture to almost every kind of salad. So if you want to fully enjoy your salad, be sure to choose the right companion for it. All our dressings are gluten free dressings. 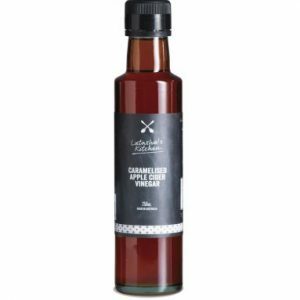 A luxuriously sweet and zesty caramelised vinegar. Mix with extra virgin olive oil to make the perfect vinaigrette. Use as a marinade or as a glaze over seafood. Perfect for baked potatoes, brussell sprouts, ham, chicken and baked fruits like apples and pears. See where your imagination takes you. 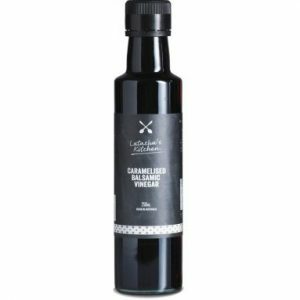 A luxuriously sweet and tart finishing sauce. Mix with extra virgin olive oil to make the perfect vinaigrette. 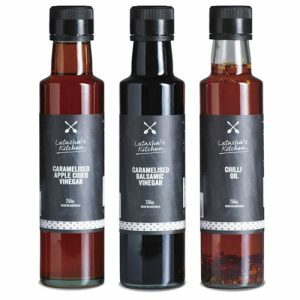 Use as a marinade or as a glaze over roast chicken, pork and beef. Add to sauces and gravy. Perfect for coleslaw, desserts, drizzled over fruit salads or use as a creative garnish for plated dishes. See where your imagination takes you. 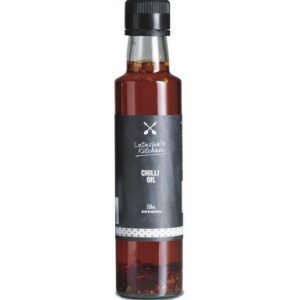 A delicious medium hot oil infused with aromatic flavours and a delicate blend of chilli flakes. Good as a marinade for poultry and vegetables. Drizzle over salads, pasta and baked dishes. It makes a great starting oil for stir-fries. 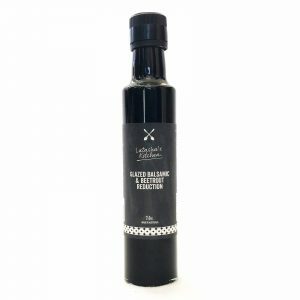 It’s also a good dipping oil or a simple marinade for meats, vegetables, pastas and pizzas.